Established in 1906, the privately held Kislak Organization is based in Miami, Florida. Its primary lines of business include multifamily and commercial real estate ownership, asset management and brokerage, and tax lien certificate investment funds. The real estate organization invests and operates nationwide on behalf of the Kislak family and its partners. For more than a century, Kislak has navigated the volatile real estate market and the challenging economy. Our track record of success is built on a tradition of rolling up our sleeves and tackling opportunities with energy and expertise. The firm’s overall history through many economic cycles has positioned us to successfully adapt and persevere. Whatever the market factors, we have had the ability and the resilience to move forward and thrive. Kislak is a winning team. 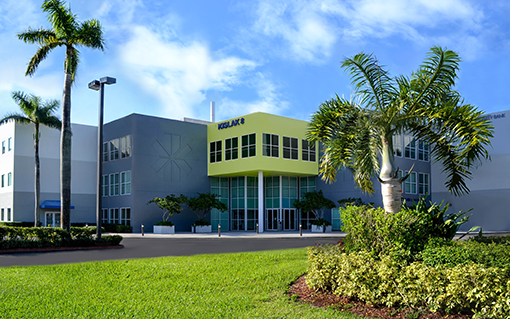 The Kislak Organization’s corporate headquarters in Miami Lakes, Florida. Upper left: The twin K symbol of the Kislak Organization was introduced in 1971. The green K, facing left, reflects the company’s past achievements, while the blue K, facing right, looks toward future progress and continued success. Montanus, Arnoldus, 1625?-1683. 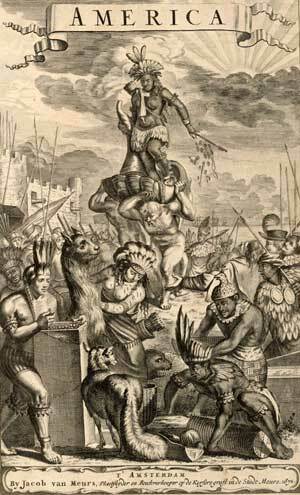 De nieuwe en onbekende weereld, of, Beschryving van America: ... Amsterdam: Jacob Meurs, 1671.